Wed., Sept. 13, 2017, 6 a.m. HUNTING -- To minimize the impacts of large dog training operations on nesting upland gamebirds and waterfowl, Montana Fish, Wildlife and Parks is proposing new requirements for gun dog handlers. Meetings on the proposal will be held in October in all regions of the state. Currently, statute requires written permission by the FWP director to train dogs within one mile of nesting gamebirds. However, the agency has never had any adequate way to enforce the rule or a system for trainers to obtain permission. Bird hunters called on the agency to address the issue. 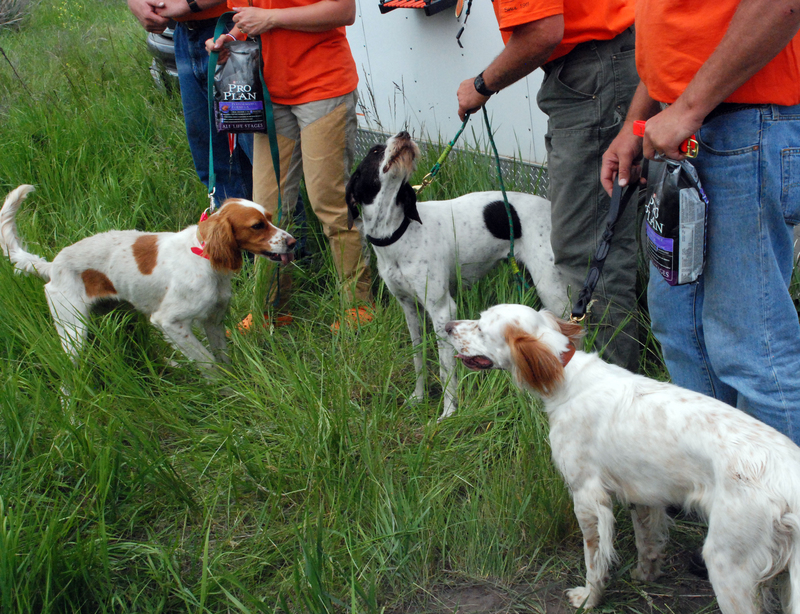 The proposed revision would allow people to train dogs within one mile of nesting gamebirds if gamebirds are not killed or captured during the training and if the trainer is not training more than four dogs between April 1 and Aug. 31. Training more than four dogs would be allowed without a permit between Sept. 1 and March 31. "In past years, large-scale dog training operations have started operating in the eastern parts of the state," FWP says in a release. "These operations often work with up to 60 dogs with trainers on horseback. This kind of intense activity can have negative effects on bird populations, displace gamebirds and decrease hunting opportunities during the season." Oct. 2, 6 p.m. at FWP Region 4 headquarters at 4600 Giant Springs Rd., Great Falls.